Party games may be a great way to forget about real world problems, but Think of the Children wants to bring the realities of childcare to a console near you. Described as a “parenting simulator,” it will test how equipped you really are to take care of a small human with your friends. Just keep the kids alive, please. 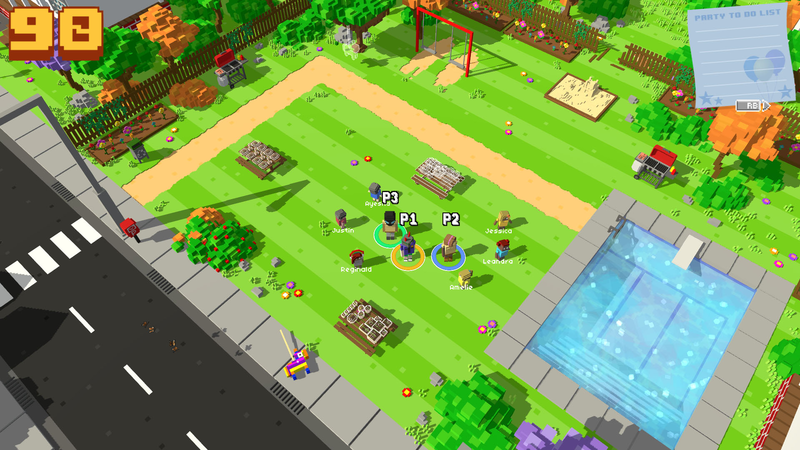 Think of the Children is similar to Overcooked, in that you have a series of tasks you need to work on together to complete. The stakes in Think of the Children are a little higher, as both you and your virtual children’s lives depend upon your success. Faced with jail time due to your questionable parenting skills, you need to prove to the court that you are a capable caregiver. Think of the Children can be played alone or with up to four players. Honestly, you’ll probably need all the help you can get, as those kids seem like a handful. If you’re feeling extra risky, the game will have Twitch and Mixer integration built in, allowing you to broadcast the insanity worldwide. Whether you’re at the park or the Outback, these children will need constant care. Think of the Children is the first game from indie developer Jammed Up Studios. It is being published by Fellow Traveler, who is also publishing the upcoming PSVR thriller Blind. Think of the Children will be released on September 25, 2018 for the PlayStation 4 and Nintendo Switch. It releases on September 26, 2018 for the Xbox One.